Adjustable rate mortgages (ARMs) can save the homeowner a lot of money in certain circumstances. If you have held an ARM in the past several years, it probably did make your interest rate and payment lower. But how about in 2018 and beyond? Rates are generally on the rise, with 30-year fixed rate mortgages in the 4.8% range and could touch 5% next year. So, if your ARM is about to reset, should you refinance into another ARM mortgage or go with a fixed-rate term? Consider refinancing your mortgage with a low rate ARM that ensures a fixed monthly payment for 5 or 7 years. At the beginning of 2018, Freddie Mac Primary Mortgage Market Survey indicated that 30-year fixed rate loans were averaging 4.2% and 5/1 ARM loans were at 3.33%. Today as of November 2018, five-year ARMs are clocking in at 4%, while a fixed rate 30-year mortgage is 4.875%. As of today, you will do .8% better or so with a five-year ARM. But the risk of an ARM is obvious. The interest rate environment is rising. If you are planning to stay in your home beyond five or seven years, you run the risk of getting a much higher rate down the line. Before you take out a new ARM in this rising rate environment, experts advise you get a Truth in Lending disclosure. This should show the maximum amount your mortgage payment each month could hit. You should make sure that you are really comfortable with this mortgage payment before you make the decision. Of course, there are times when getting another ARM could be a great decision. As we have seen, an ARM rate now starts about .8% lower than a fixed rate mortgage. Your monthly payments are much lower for a few years. If it turns out that rates decline in the five to seven-year period, your payments might decrease when the rate resets. While rates are rising now and in the medium term, it is certainly possible we could have a recession in the next five years that could cause rates to sink. Before you decide to get another ARM, you should investigate what the caps are on how much your mortgage payments can rise, both each year and over the life of your loan. This might be written in your loan documents as 2/2/5. The first number shows the largest amount by which the rate can go up in the first year after the fixed rate period of 3,5 or 7 years ends. The second number illustrates the most it can change each year. The third number shows how much it can go up over the life of your loan. Let’s talk a real-world example. Assume you buy a home with a $250,000 house with a 30-year, 5/1 ARM. The initial rate is 4% and you put down 20%. Your monthly payment at first would be $950. In a perfect world, your payment would not rise over the life of the loan and you get the house for about $345,000 with interest. But this is the best case. Let’s say now that after your five-year fixed rate ends, the rate goes up by .25% per year until it hits the maximum amount of 5%. This could spike your rate to 9%! You will be paying $420,000 over the life of your loan. The monthly payment would rise to $1300. These are the extreme scenarios, and the most likely is something in between them. But if you get a new ARM and the rate hits the cap, you will pay thousands more in interest. For most of us, fixed rate mortgages are the better choice. This is true if you want to stay in the home for five years. You might want to pick the ARM if you are sure you only will be in the house for three or five years. The bottom line is this: Rates are rising at the end of 2018. Fixed rate mortgages for 30 years are at 4.875%. A five-year ARM is at 4%. If you are very confident you will move before the rate resets, you might go for a new ARM. But if you are less sure, you may want the safety of a 30-year fixed rate loan. Sure, the payment is higher, but at least you know it cannot rise more than 4.875%. Learn how to save money by refinancing your mortgage at the right time with the right lending company. Interest rates have been low for a long time, but they started to rise at the end of 2017. If you closed on your home loan more than five years ago, it is still likely that your current rate is higher than rates today. This is the top reason to refinance: to lower your rate. Most home loans are high amounts, so a small change in the interest rate can make a big difference in your payment. One percentage point difference can cost you thousands in interest each year. Getting a lower monthly payment is something that a refinance can often help with. You can reduce your interest rate but also stretch the loan payments over more years. If the loan amount is $200,000 and you have paid it for 10 years, the balance will be about $150,000. You can do a refinance on that $150,000 for 30 years and get you a lower payment. This new lower loan amount stretched over more years will lower your payment a lot. Mortgage insurance is required for most loans that have less than a 20% down payment. If you have a conventional mortgage, PMI should be dropped after your LTV gets to 78%. But if you have an FHA loan, the mortgage insurance will not drop off. You must pay FHA mortgage insurance for life, unless you put down more than 10%. The only way to get rid of PMI with an FHA loan for most people is to refinance into a conventional loan. If you have a first mortgage with a higher rate than current rates, a good potential option is to do a cash out refinance. You can refinance your first mortgage with a lower rate, and pull out some of your equity up to 80% LTV. 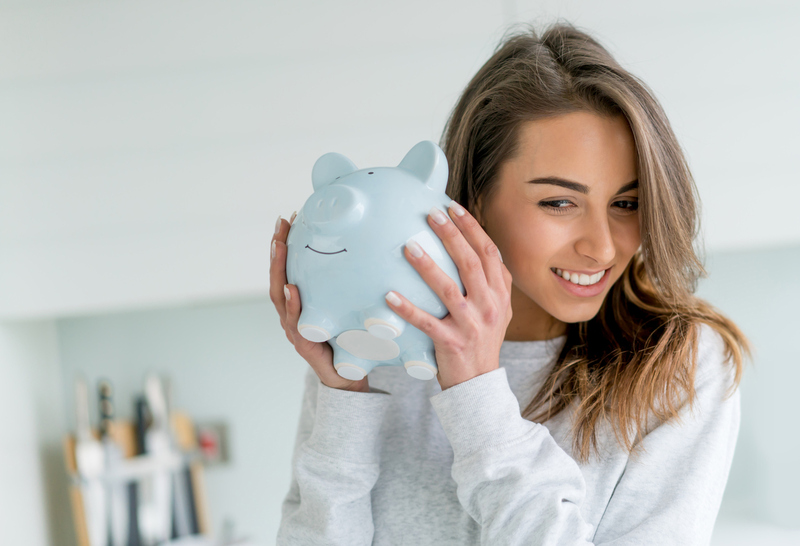 However, if you do not want to change the interest rate on your first mortgage, you also can get a second mortgage in the form of a home equity line of credit (HELOC) or a home equity loan. A HELOC is the most popular choice with a low initial rate that varies over time. You only take out the money you need, much like a credit card. A home equity loan is a lump sum payment of equity to you. Either one can work well for home renovations. Just make sure that the home renovations you do will add value to the home, such as a kitchen or bathroom upgrade. This depends on your specific situation. If you are getting close to retirement and have a lot left on your mortgage, refinancing to a lower rate can make it easier to continue to pay your mortgage on a lower, fixed income. If your home is totally paid off, a reverse mortgage can be a good idea. This is where you get monthly payments or a lump sum of money that uses your home’s equity. You do not make any payments; the reverse mortgage has no payment until you die and the house is sold off. An ARM has a low fixed rate for a few years. After that initial term, the rate can go up or down each year. Because of the possibility of a higher rate, many people like to refinance at the end of the ARM fixed term into a fixed rate loan. If you have a lot of credit card debt with high interest, you might refinance your mortgage with a cash out refinance loan. You can easily save thousands in interest each year, because the rate on a first mortgage is only around 5% today, whereas credit card rates are often 25% or higher. Cash-out refinancing to consolidate revolving debt is usually a wise move. If you have a 30 year fixed rate loan, you may want to refinance your loan into a 15 year mortgage. The monthly payment will go up, but the interest rate is usually 1% less than a 30 year mortgage. This saves you a ton of interest and you will pay off the loan much faster because most of your payment goes towards principle. Tom Murphy grew up in La Jolla, California surfing and carving his niche in the local real estate market. Mr Murphy has a stellar record as a loan officer with over a decade of experience helping people secure the right home loan. He now works at Movement Mortgage in Carlsbad CA. 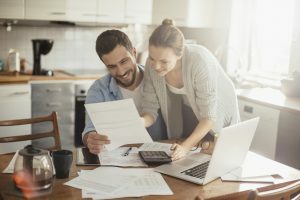 What Are the FHA Loan Requirements and New Loan Limits for 2019? How the Government Shutdown Affects Getting a Federal Home Loan for FHA, VA and USDA? The information contained on RefiGuide.org website is for informational purposes only and is not an advertisement for products. The views and opinions expressed on this site are those of the respective authors and do not reflect the policy or position of this company or affiliates. RefiGuide.org is a website that provides information about mortgages. We do not directly offer mortgages, accept applications or approve loans but we work with partners who do. We are not responsible for the accuracy of rates, APR or loan information posted by banks, brokers, lenders or advertisers. Any connected advertisements do not imply affiliation or endorsement by any government agencyThis service is completely free and there is no obligation when you receive rate quotes from any of our competing mortgage companies. Neither RefiGuide.org nor its advertisers charge fees or require anything other than a submission of qualifying information for comparing offers online. Rates and loan guidelines are subject to change without notice. All material on this website is copyrighted. The material on this website should not be used or copied. This site is not a government agency, lender or bank. We are not affiliated with HUD, FHA, USDA or the VA. We do not offer any mortgage refinance products.